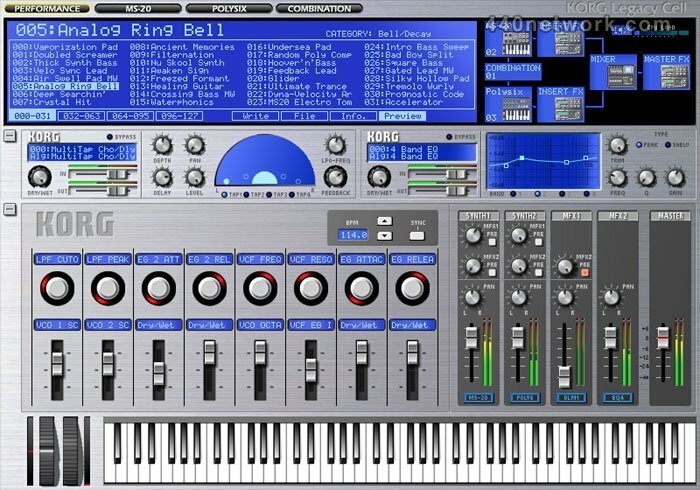 The KORG Legacy Collection is a virtual instrument pack, consisting of software versions of the MS-20 and Polysix analog synthesizers, and the WAVESTATION advanced vector synthesizer, together with a dedicated MS-20 Controller that faithfully replicates the original MS-20 at 84% of the original size. Perennially popular and hard to find in their hardware formats, these legendary synths are now resurrected for use in your computer as state-of-the-art software synthesizers. Our CMT electronic circuit modeling technology delivers stunningly accurate reproductions of the analog MS-20 and Polysix, and the groundbreaking Legacy Cell combination structure produces beefy and complex new timbres that far surpass the original models. The stability has been improved (including bug fixes), and this version now supports Mac OS X 10.6 Snow Leopard (32-bit). The host application might crash when the Wavestation plug-in was removed from an instrument track, or when a project file which included the Wavestation plugin was opened. This has been fixed. Now compatible with Logic 7. A problem with standalone performance using Digidesign audio interfaces running CoreAudio driver 6.5.x was fixed. Improved the accuracy of Wavestation sound emulation. Added an output gain parameter for the Wavestation (+6, +12 dB) to better match overall volume levels. Improved the editing/undo of parameters in the Wavestation. Added the ability to Import "Mixed Data" to the Wavestation, for better loading of Sys. Ex. data files found on the 'Net. Sur Mon Mac Pro intel core 2 duo, le "Moniteur d'activité " m'indique qu'il s'agit bel et bien d"un logiciel PowerPc (version 1.2.2) et que pour fonctionner il me pompe jusqu'à 70% du processeur, lors de quelques sessions live avec le Ms20 j'ai eu des pics en ayant mis un buffer en dessous de 1024, ... donc peut mieux faire, sinon les sons (quand ça joue) que du bonheur. A quand une vrai version Intel pour nos mac ? Le MS20 semble très fidèle (j'en ai un), le Polysix ressemble à mon Juno-6. Le Wavestation lui marque le pas, on sent que les sons sont dépassés sauf pour des pad délirants. Les sons de type analogiques du WS ne sonnent pas terribles. En fait je me demande encore pourquoi ils refont des vieux synthés, ils pourraient mettre le meme son dans un design plus innovant. 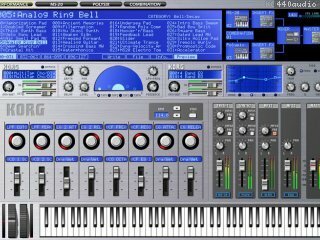 A l'époque ou j'ai acheté mon MS20 j'aurai pris un mini Moog si j'avais eu l'argent alors pourquoi j'acheterai maintenant un autre MS20 ? Pour le Polysix c'est pareil pour ceux qui ne pouvaient pas avoir le Prophet 5 !